Personalwatecraft.com recently reviewed the 2013 Sea-Doo Wake 155. 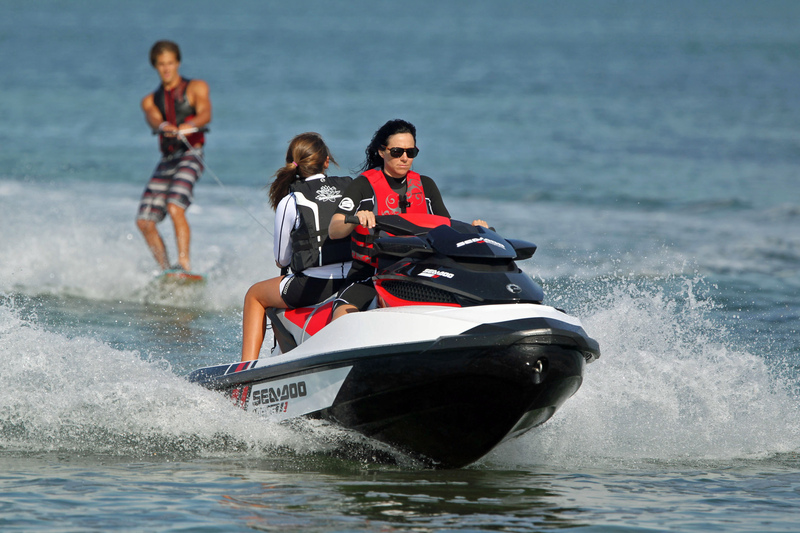 BRP continues to push watersports technology and versatility with the Sea-Doo Wake 155 . This model includes iControl, ECO mode and Ski mode to offer the most striking and accessible tow specific watercraft on the marine market. It delivers ample low-end torque to provide a powerful pull with minimal fuel consumption. It features class leading comfort and storage with 116.6 litres (30.8 US gallons) of usable space, plus the addition of iBR and iTC systems. The WAKE 155 is equipped with the PWC industry’s only tow specific package including; Ski mode, retractable tow ski pylon, large swim platform with a fold-down reboarding step, removable board racks and mirrors. The 2013 Sea-Doo WAKE 155 is the preferred watercraft of Team Nike wakeskater Nick Taylor. Taylor favors the Wake 155 for its economical operation and shallow water capabilities versus traditional boats and also its quick turnarounds and pick-ups thanks to the iBR system. Reliability is perhaps the most important standard feature for Taylor as he has amassed over 570 hours of saltwater use on his WAKE 155 watercraft over the past three years, an amount that would take the average owner over 17 years to accumulate.